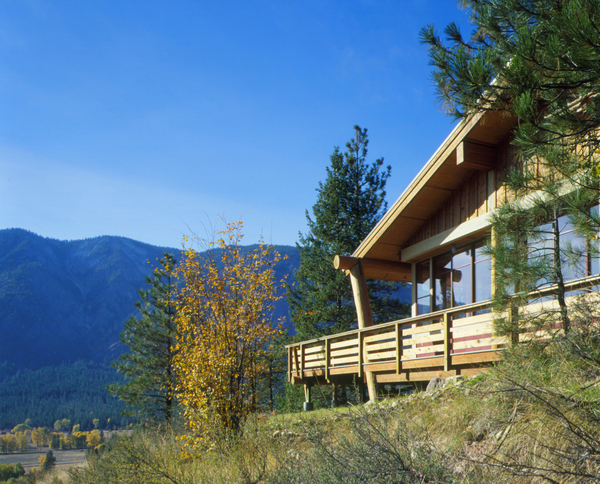 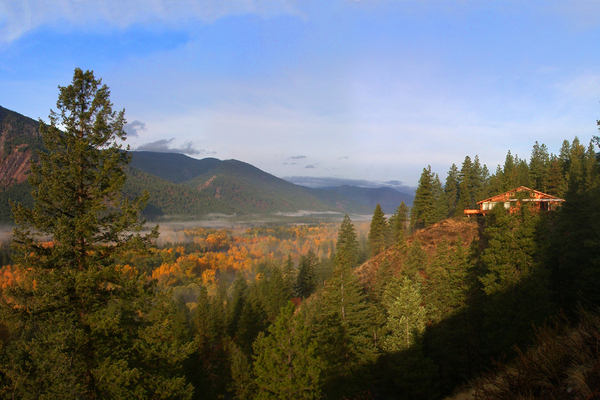 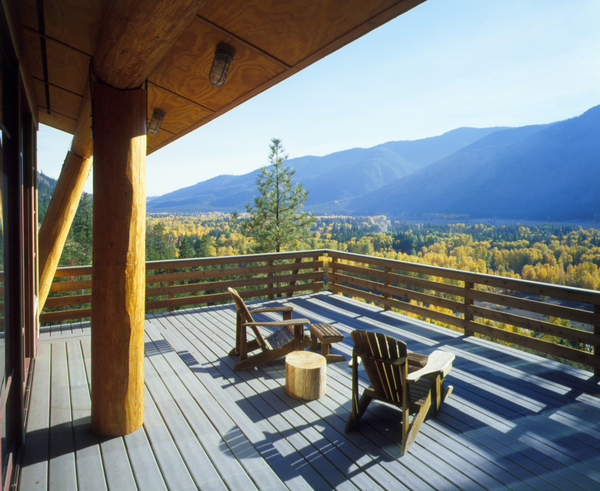 Perched on a linear strip of land on the edge of a hill, this cabin looks out over the Methow River valley in Eastern Washington. 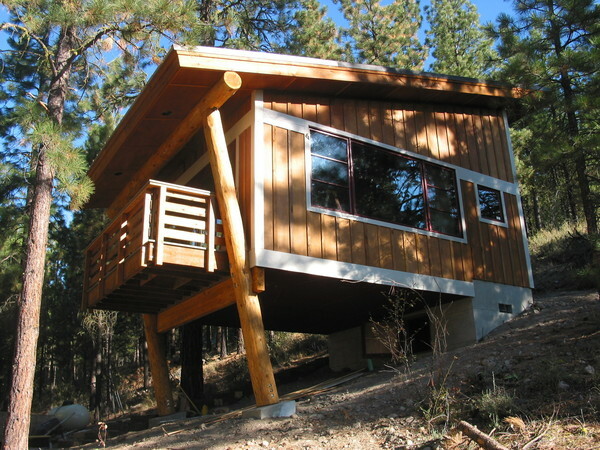 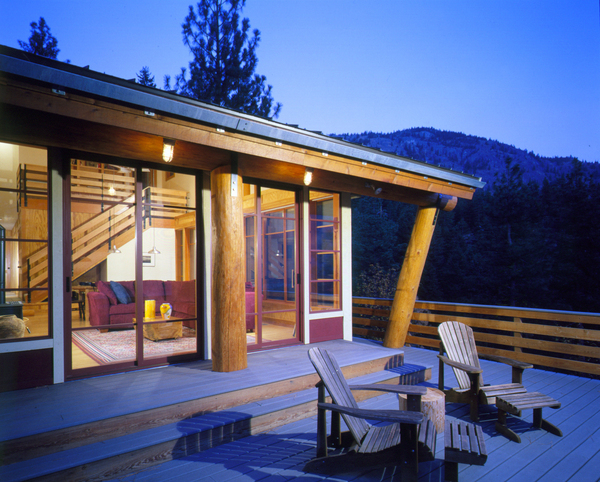 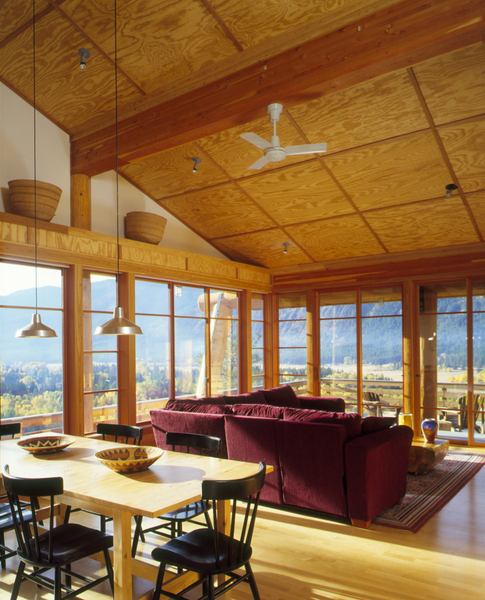 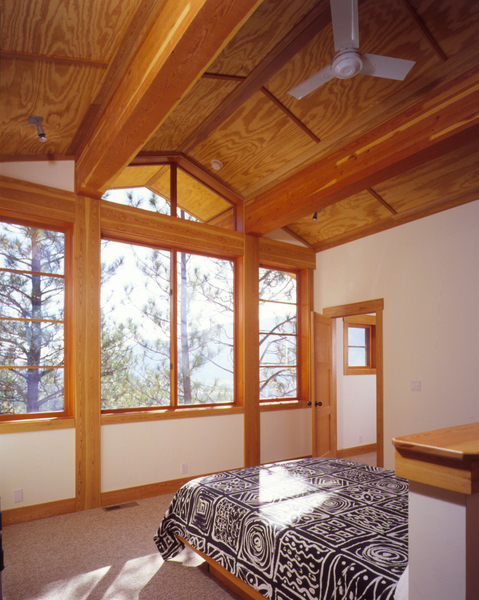 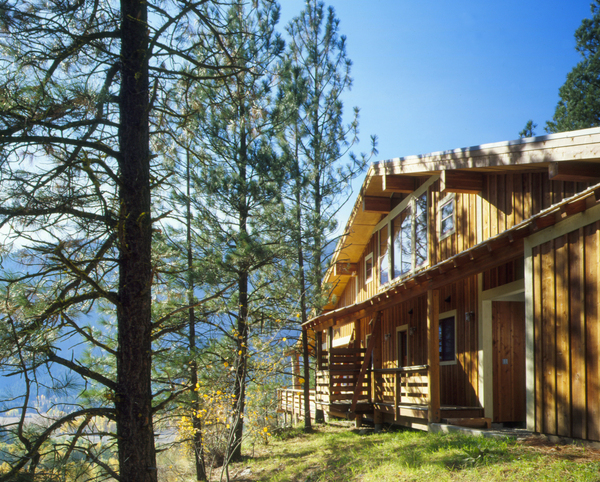 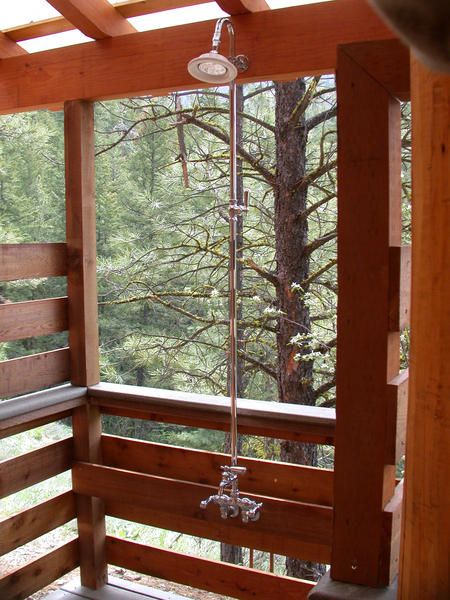 Guided by site constraints, an elongated floor plan allows all of the rooms of the cabin to have spectacular views of the river, valley and surrounding mountains. 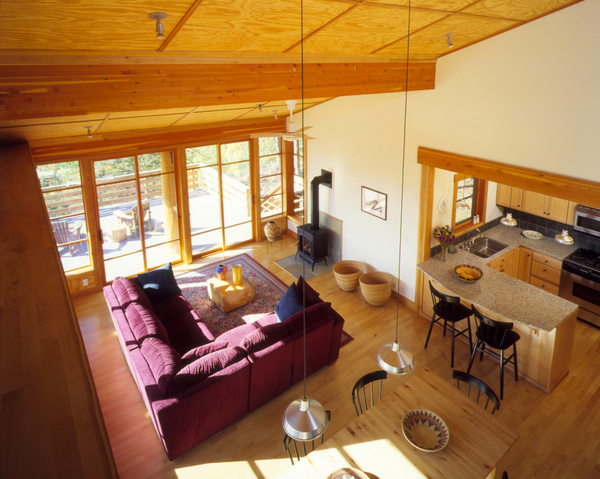 The main living area has a large window wall that faces south to capture the heat from the sun as well as the view. 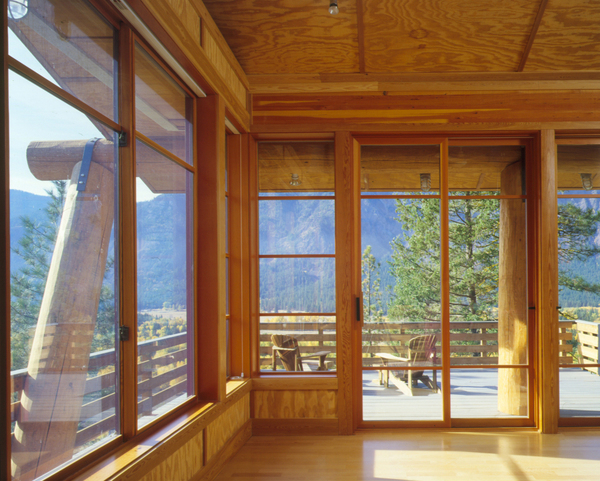 Sliding glass doors open onto a sizeable deck and connect the interior space to the outside. 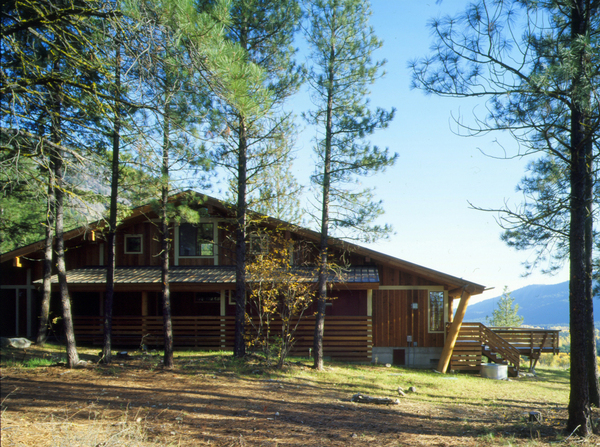 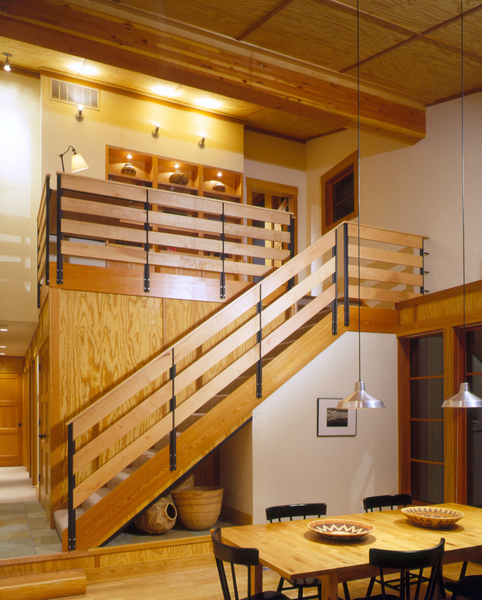 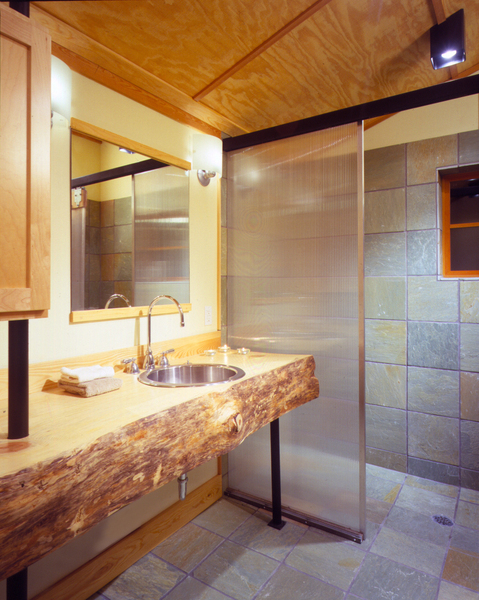 The exterior of the cabin was designed to reflect the rural character of the ranch and farm buildings of the area.